Note that upon inspecting this gold nugget before shipping to the buyer I looked in the crevices in the nugget with a loupe and there are gold crystals, some perfectly formed, in several of the crevices! Collectors know how rare that is. The buyer got a wonderful bonus with this nugget. This is a gorgeous and huge 7.79 Troy Ounce (242.3 Grams) Australian Gold Nugget. It has an absolutely gorgeous color and shape. 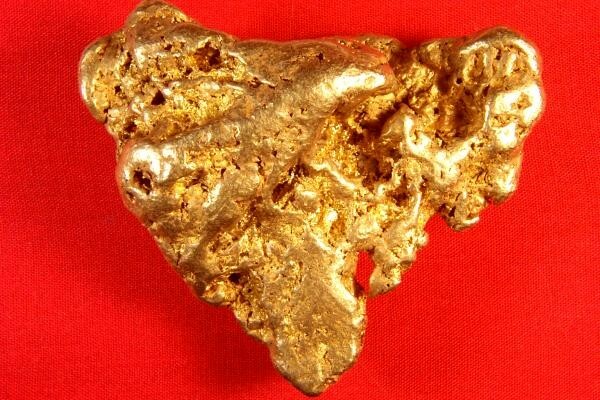 It is one of the nicest Australian gold nuggets that I have. This gorgeous natural gold specimen is 2.75" long x 2.25" wide x 1" thick. It has a very large surface area for the weight. 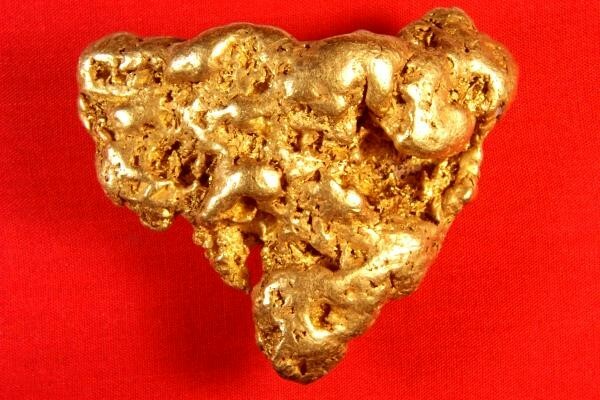 Investors, jewelers, and collectors love Australian Gold Nuggets because of their high purity and beautiful color. Australian gold nuggets like this one are approximately 92% to 98% pure, some of the purest natural gold nuggets found in the world.